The Texas State Fair means more than just fried food! What brings you to the Texas State Fair? The 2018 Texas State Fair in Dallas has begun and the wide variety of experiences will have you substantiating your trip with a myriad of reasons to bring your family there. DALLAS (Sept. 27, 2018) – The State Fair of Texas draws families from all over Texas and beyond, and when they arrive it’s always a tough decision on where to go: The kids want to play games, dad wants to go see new trucks, and mom wants to listen to live music. Thanks to Toyota, there’s one place the family can visit and do it all. State Fair guests are invited to visit Toyota Live Powered by JBL – a large outdoor stage and high-definition big screen – for live entertainment, including concerts and the broadcasting of professional and college football games, including the Red River Showdown between Texas and Oklahoma. SiriusXM will also be broadcasting from Toyota Live Powered by JBL with the Red River Showdown Preview on ESPNU, hosted by Marc Packer, on Oct. 5 at from 3-6 p.m.
“We’ve continued to add to the fun experience of the Fair in 2018, but we’re equally as passionate about serving the communities where we work, live and play,” said Vinay Shahani, vice president of Integrated Marketing Operations. 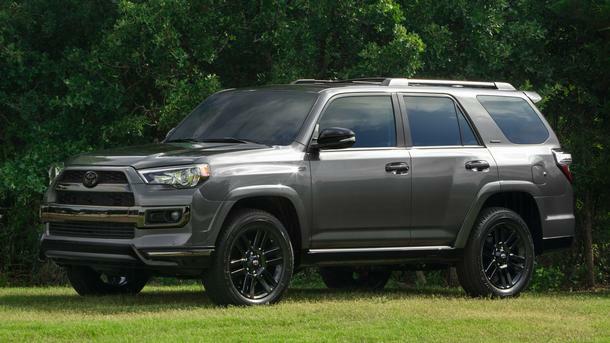 With more than 50,000 square feet of indoor and outdoor exhibit space, Toyota will display more than 50 vehicles and has plenty of fun in store at this year’s State Fair of Texas.